What is it and how can it be prevented? 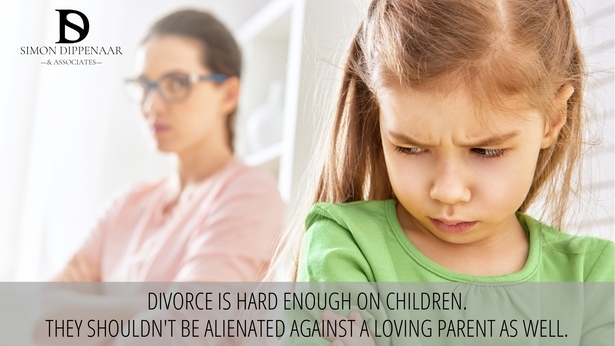 Parental alienation is a sad by-product of divorce or other breakdown between parents. Unfortunately, it is usually the result of deliberate sabotage by one parent against the other. It is very rarely an organic response by the child, provided there is no physical or emotional abuse present. According to clinical psychologist, Dr Marilé Viljoen, “Parental alienation is a set of processes and behaviours conducted and enacted by a parent to deliberately and knowingly damage or sever the relationship between a child and another parent with whom the child enjoyed a prior loving relationship.” A child may express “disapproval and even hatred toward a parent they loved and respected before the separation or divorce”. Strictly speaking, there is a distinction between Parental Alienation Syndrome (PAS) and simple parental alienation. However, the difference is one of degree. For the purposes of understanding the concept, we will use the term ‘parental alienation’ to refer to all types of alienation between a parent and child in the context of separating parents. Some of these factors can be blamed on the parent; some are unconscious behaviours. None is driven by the other parent, as is the case with parental alienation. Although we talk about parental alienation as a consequence of divorce, the roots of it can often be found in the family dynamics before the marriage ends. It can be argued that the dying days of a relationship, when the couple still inhabits a common home, can be more damaging to a child than the divorce itself. Where children are used as emotional bargaining tools they are often manipulated into a situation where they side with one parent or the other. When the relationship between the parents is resolved, even via divorce, children are often relieved of the triangulation and harmonious relations with both parents can be restored. Denigration and hatred of the targeted parent. The child cannot recall or denies any positive past experiences and wants no contact with the once-loved parent. This rejection can happen very suddenly. Weak or ridiculous rationalisation for intense hostility. If the child is asked the reason for rejection, the explanation often seems innocuous, the behaviour out of proportion to the motive for it. Lack of usual ambivalence about the targeted parent. In other words, children with healthy parental relationships normally display mixed feelings towards their parents. With parental alienation, one parent is perfect and the other is irrevocably flawed. Assertion by an adamant child that the decision to reject the other parent is theirs alone, despite the obvious influence of one parent on the child’s thinking. Reflexive support of the favoured parent in the conflict. This means that the alienated parent has no ability to influence the child at all. The child will blindly support the favoured parent. Lack of guilt over the treatment of the alienated parent. The child may be rude, ungrateful, spiteful and cold toward the alienated parent and displays no empathy at all. Use of borrowed scenarios and phrases from the alienating parent. The child may make accusations that are beyond their understanding or level of literacy. The mistreatment of the alienated parent may extend to rejection of the extended family or even friends of that parent. Statistics from the UK cite parental alienation as the main factor in approximately 80% of the most difficult cases that come before the family courts. Here in South Africa, these cases are the most challenging for family lawyers to deal with. Parental alienation is no less than child abuse. According to Anthony Douglas, CEO of the Children and Family Court Advisory and Support Service in the UK (Cafcass), the deliberate manipulation of a child by one parent against the other is a common feature of family breakdowns and should be treated as neglect or abuse and not accepted as an inevitable consequence of divorce. Simon Dippenaar & Associates Inc. is an established Cape Town law firm with extensive expertise in divorce and family law. If you are alienated from your child as a result of an acrimonious divorce, we can help you draw up a parenting plan that will gradually and sensitively enable you to restore your relationship with your child. We can arrange for the services of a mediator or child psychologist if required. We know that a child cannot be forced to revive love for a parent when love and respect have been undermined. It is a slow and delicate process. But we can work towards a form of reconciliation with the other parent that will hopefully remove the alienating influence. Simon Dippenaar & Associates Inc. has a reputation for empathy and professionalism, with a personal touch. We will listen to you and help you find a solution that is in the best interests of all parties – most importantly the child. Call Simon on 086 099 5146 or email sdippenaar@sdlaw.co.za. 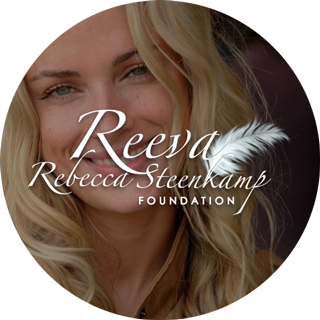 Read what satisfied clients have to say about Simon Dippenaar & Associates, Inc.
REEVA STEENKAMP FOUNDATION ENDORSEMENT “On behalf of all abused woman and children The Reeva Rebecca Steenkamp Foundation would like to thank Simon Dippenaar from SD Law South Africa for going beyond and assisting our client with a very difficult case. This entry was posted in Parental Alienation Syndrome and tagged parental alienation, parental alienation syndrome. Bookmark the permalink. ← Grey Divorce: Is This The New Trend?